LOL/OMG: LOL/OMG vs. the Minnesota Zoo in the 'Best of' Showdown! 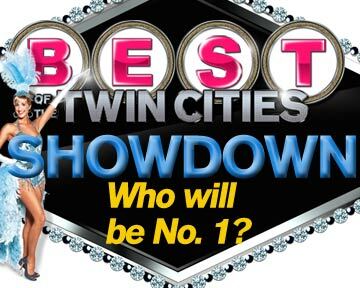 LOL/OMG vs. the Minnesota Zoo in the 'Best of' Showdown! It recently came to light that LOL/OMG has scored a coveted spot in Mpls/St.Paul Magazine's "Best of 2010" issue. Pretty sweet, right? We are beyond flattered!!! The issue, which is out this week, features a nod to LOL/OMG and talks about our top notable news stories this year. And that brings us to the next piece: a competitive online component has been launched on the MSP site, which randomly pits select 'Best of' winners against each other to create a user-generated ranking system. Five rounds of voting narrow down the #1 people's choice and just yesterday the first round of voting opened. LOL/OMG is pitted against the Minnesota Zoo Concert Series right now and they've currently got a bit of a lead on us. We want to make it to the next round! We'll be honest and admit it's a bit complicated to register and vote, but if you do it, we will love you forever and ever (and yes, you can opt out of the MSP mailing list without fuss). Help LOL/OMG represent! Really nice and honest advice! I love it, Absolutely Brilliant! Thanks for sharing such type of useful information. And you have a nice blog with good post which is very helpful for us. Thanks for sharing this. I finded around your website and found your blog is excellent. There are a lot of info for me to study, thanks for your great share. I found lots of interesting information here. The post was professionally written and I feel like the author has extensive knowledge in the subject. Keep it that way. Attention Titans of Social Media! The MIA & l’étoile SCVNGR hunt is ON! Rosanne Cash loves local art!